The latest NSW Independent Pricing and Regulatory Tribune (IPART) review of the competitiveness of the retail energy market has revealed the extent customers are being punished for failing to shop for better deals between retailers. NSW SMEs and households are able to choose their electricity and gas plan from multiple retailers competing on different tariff rates, charges and discount incentives. 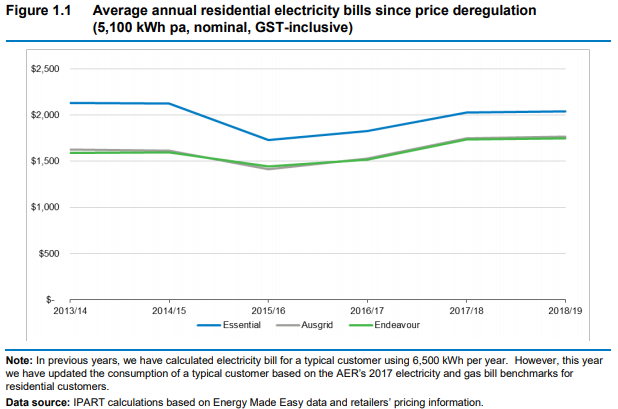 According to calculations from the government's Energy Made Easy initiative and retailer's pricing data, the difference between the cheapest and most expensive standing offers for a typical customer was approximately 20% in the financial year ending June 30 2018. Image source: NSW IPART Review of the performance and competitiveness of the retail energy market in NSW, p7. Customers paying the highest rates were those on 'standing offers' (the rates by the government) who likely have not shopped around for a more competitive 'market offer' and discounted rate incentives. NSW IPART also estimated at least 15% of customers on a 'market offer' were actually paying 'standing offer' prices because they had not switched in several years and their last contract period had lapsed. 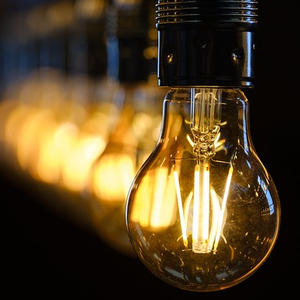 Australian small businesses and households can now easily compare market offers from multiple electricity and gas retailers without having to sort through confusing rate tables, charges and discounts.